The Youth I.D.E.A.S. 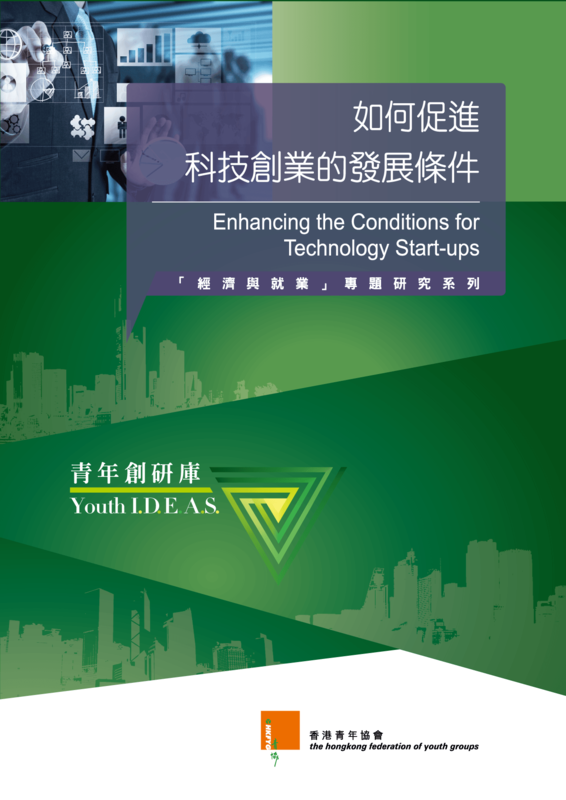 (established by HKFYG Youth Research Centre) has released its fifth study on enhancing the conditions for technology start-ups. Data gathered from 217 start-up entrepreneurs found that the average score for the level of difficulty of starting up technology enterprises is 6.59. The applied technology environment for technology start-ups is not perceived favourable by the respondents. The average scores for talent supply, innovation culture, technical support and research standard are 4.86, 5.00, 5.08 and 5.31 respectively. Government policy receives the lowest average score of 4.29. In-depth interviews with 20 young entrepreneurs of technology start-ups were carried out to understand the difficulties they encounter. The study found that the applied technology level of the talents is yet to meet the standard which may adverse the development in technology start-ups.